Is there a biology gender divide? Addressing the persistent gender gap in science, technology, engineering and maths (STEM) subjects has proven to be one of the most pressing academic concerns in recent years. 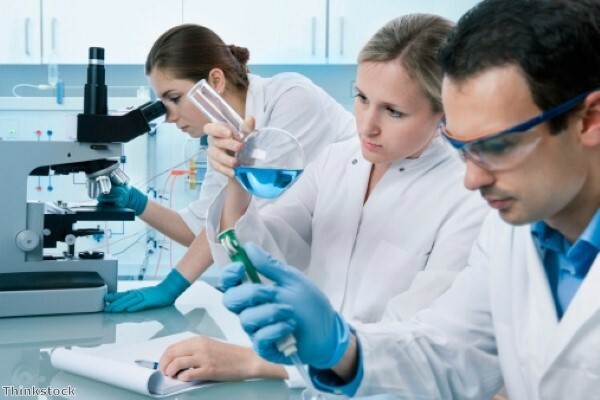 Biology has been seen as an area which is not affected by gender inequality, as it is the one STEM subject in which female candidates have traditionally outnumbered male ones. More than 60 per cent are female and about half of biosciences graduate students are women. However, a new research paper published in the US casts doubt on the notion that the gap has totally disappeared, revealing evidence of inequality even in biology classrooms. "Often, gender differences are assumed to be present only in fields where males outnumber females and where there is a strong emphasis on math," said Sara Brownell, assistant professor with ASU's School of Life Sciences. "But we are seeing it in undergraduate biology classrooms that do not focus on maths – where females make up about 60 percent of the class – indicating that this could potentially be a much more systemic problem. It's likely this is not unique to physics or biology, but rather true of most undergraduate classrooms." Some 23 classes were studied at a research one (R1) university over a two-year period. Comprising mostly sophomores and biology majors, they were generally taught by two instructors each. More than 60 per cent of the 5,000 students enrolled on the courses were female. Studies of exam performance and class participation revealed that female's exam scores were on average 2.8 percent lower than those of male students. There was also a gap in participation rates, with 63 per cent of males on average speaking up when asked to volunteer responses to questions – even though they made up just 40 per cent of the classroom. According to co-author Sarah Eddy, this can create problems because such classes are the first opportunity many people have to interact with professionals and peers and build up their confidence levels. Unequal participation rates mean women have fewer chances to succeed. Fortunately, however, the researchers have proposed strategies they say could be used to bridge the divide. They recommend using a pre-sorted list of student names to randomly call on students, rather than allowing them to raise their hands. They believe this idea may meet with some initial resistance but would boost equality in the classroom. "In order to solve the problem, instructors must be aware that it even exists," Professor Brownell pointed out. She argued that it is now important to find out the causes of the inequality and then develop new strategies that could combat it.